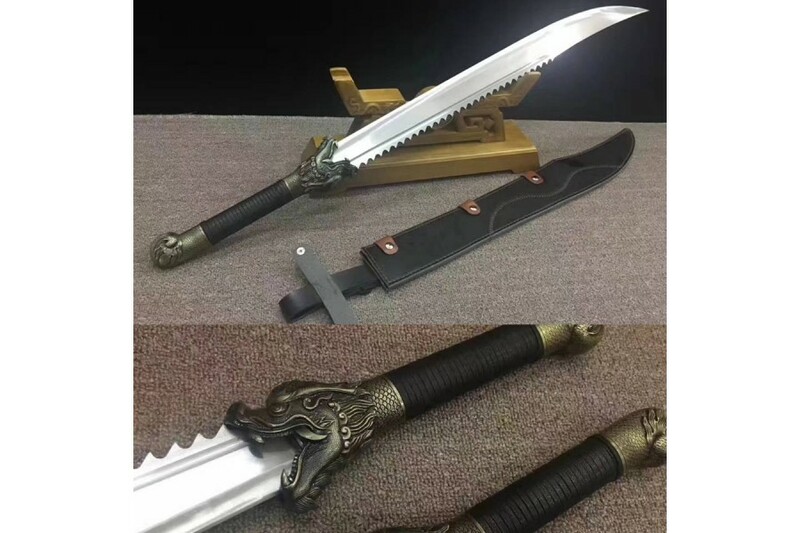 The Chinese Sword DAO is fully hand forged, hand polished, hand sharpened, fully functional and battle ready. 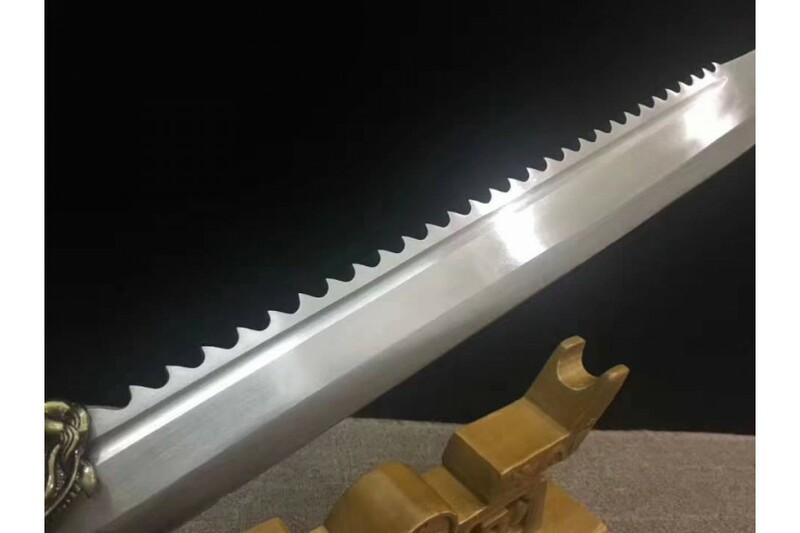 The blade of the DAO is 1095 carbon steel and features a single bohi (blood groove). 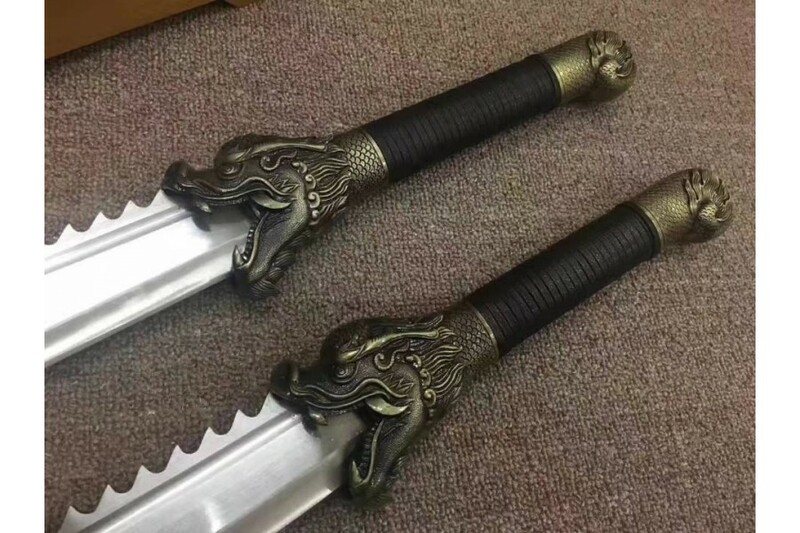 The guard of the sword is a brass dragon head design. 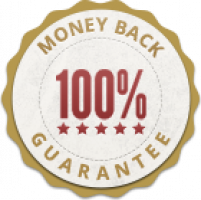 The sheath is made of high quality leather. 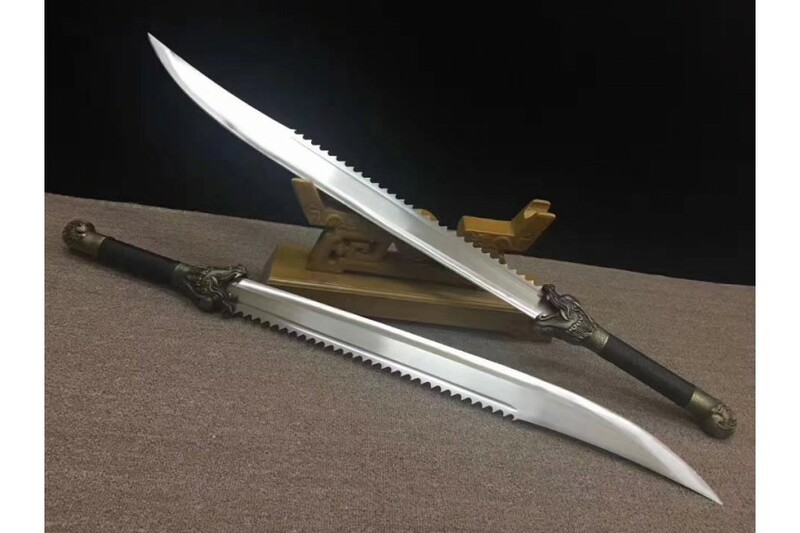 HUSA KNIFE, also sometimes called Achang knife, is traditional forged weapon of the Achang people of China. 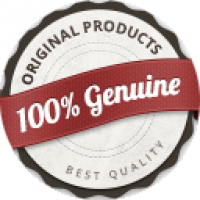 This sort of knife is well-forged and elaborately made, and very sharp, tensile, durable. 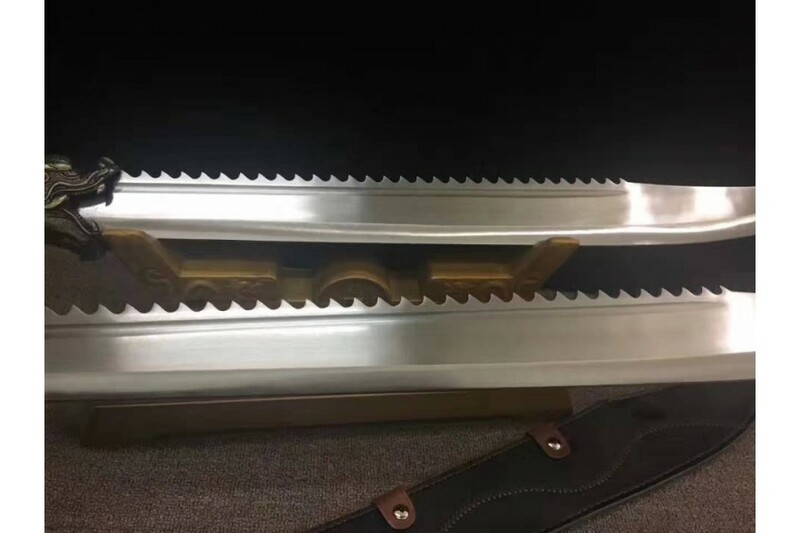 The blade is AISI 1095 carbon steel which is better for cutting because of good hardness and flexibility. The tang of the sword is secured by two bamboo mekugi(pegs). The handle and sheath are wrapped by cotton ito to increase friction, golden sun and moon themed pattern engravings on blade are very b.. 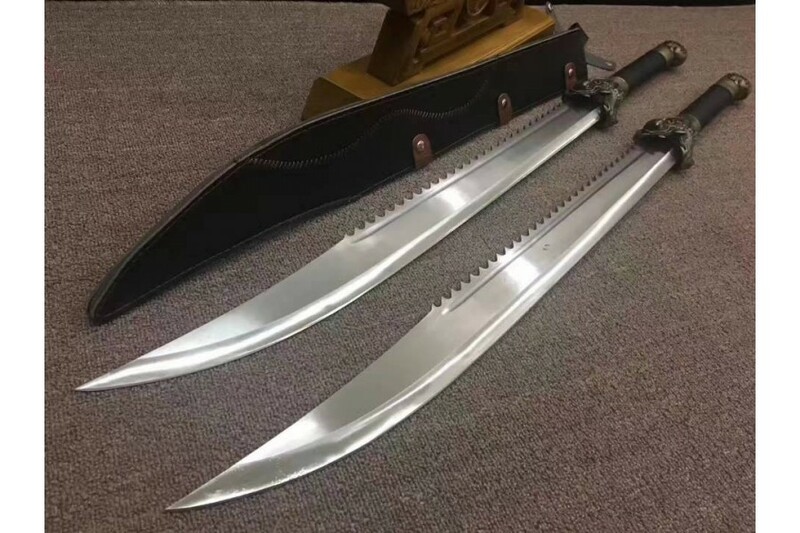 The Nine Ring Broadsword is one of many variations of the Chinese Dao Broadsword. 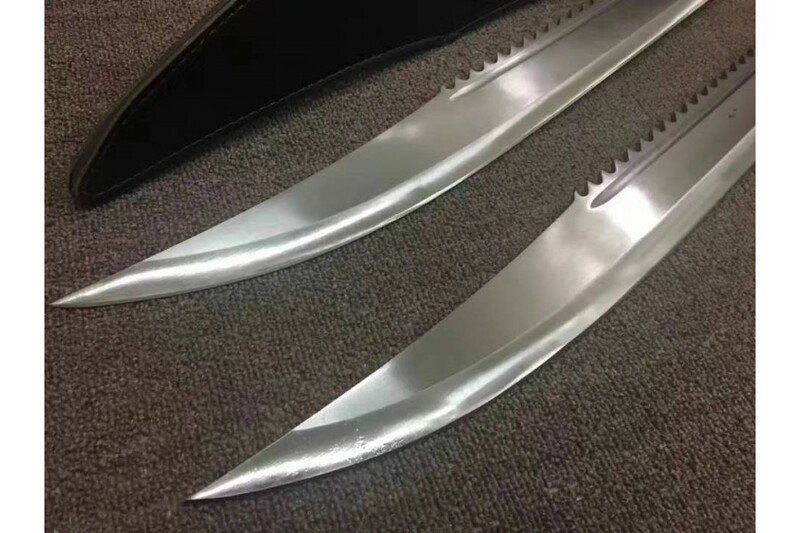 This broad-bladed weapon has nine heavy rings threaded through its spine, providing additional weight to add to the force of its impressive chopping power. 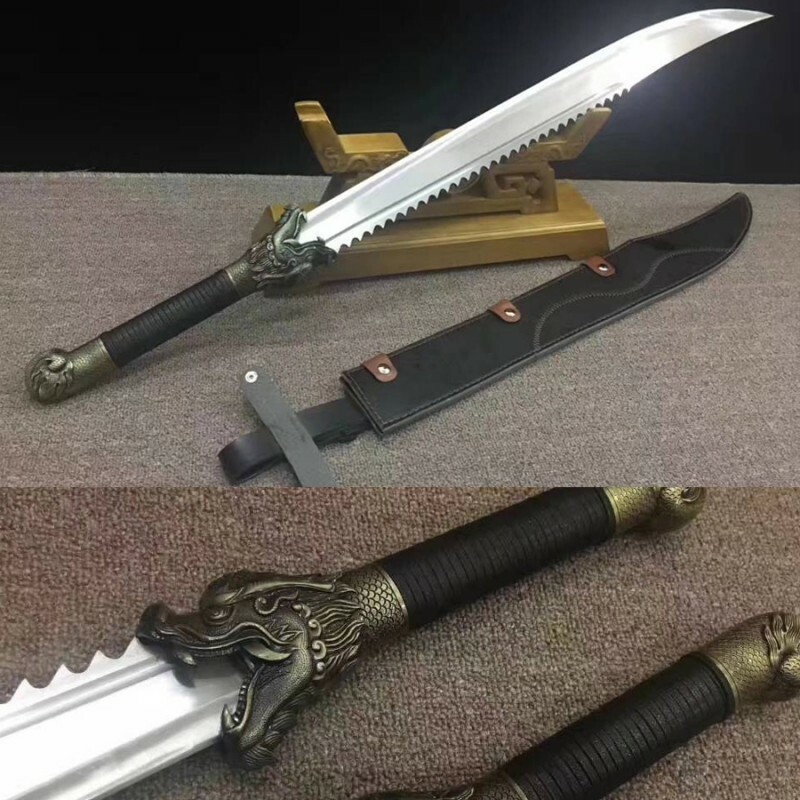 This sword dao is made of T10 high carbon steel. The sword has a 83cm long handle making it suitable for two handed sword. 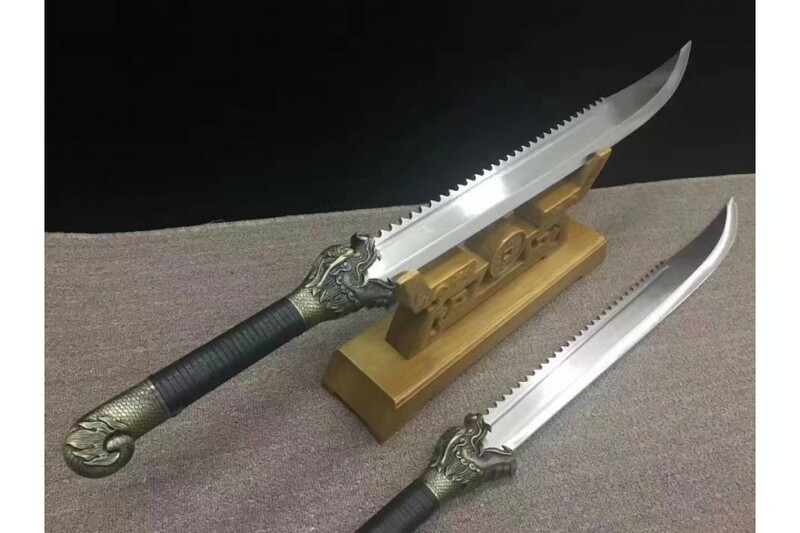 Nine Ring Broadswords Chinese DAO T10 Carbon Steel Blade Traditional Hand Polish Forged Features:HanBon Forge Chinese DAO Ni..
Brotherhood of Blades are the swords used by Embroidered Uniform Guard (simplified Chinese: Jinyiwei ) of the Ming Dynasty in China. Embroidered Uniform Guard was the imperial secret police that served the emperors of the Ming dynasty in China. 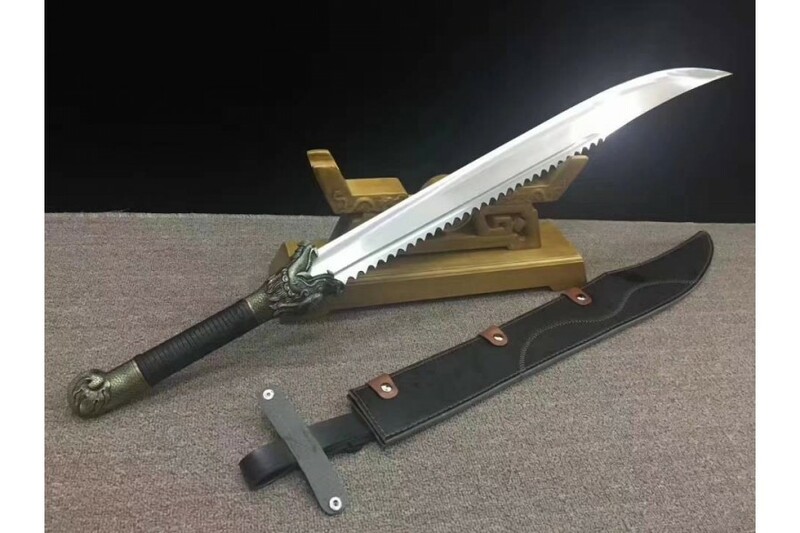 This sword is made of damascus folded steel, 13 times folding process creats beautiful folded pattern you can see on blade. 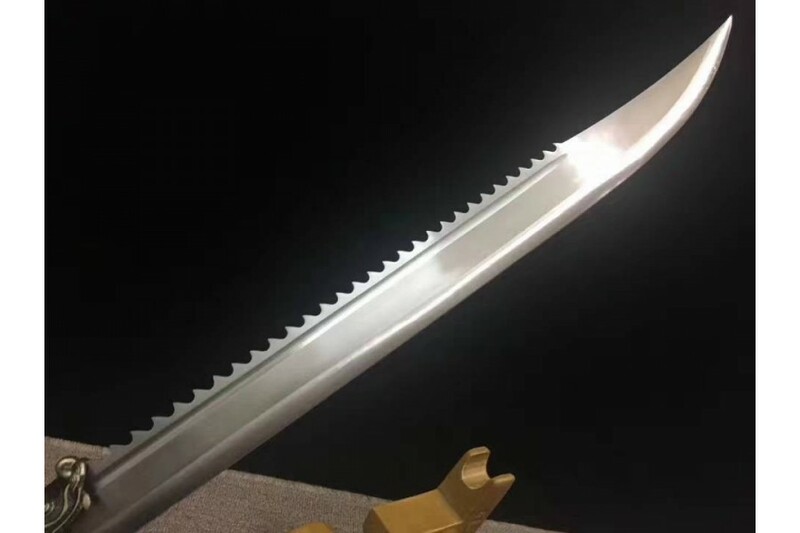 The six sided blade is fully handmade with blood grooves. 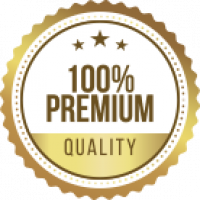 The scabbard is made of top quality ebony. The exquisite fittings on this..